Capture your viewers' attention by peeling back the page. 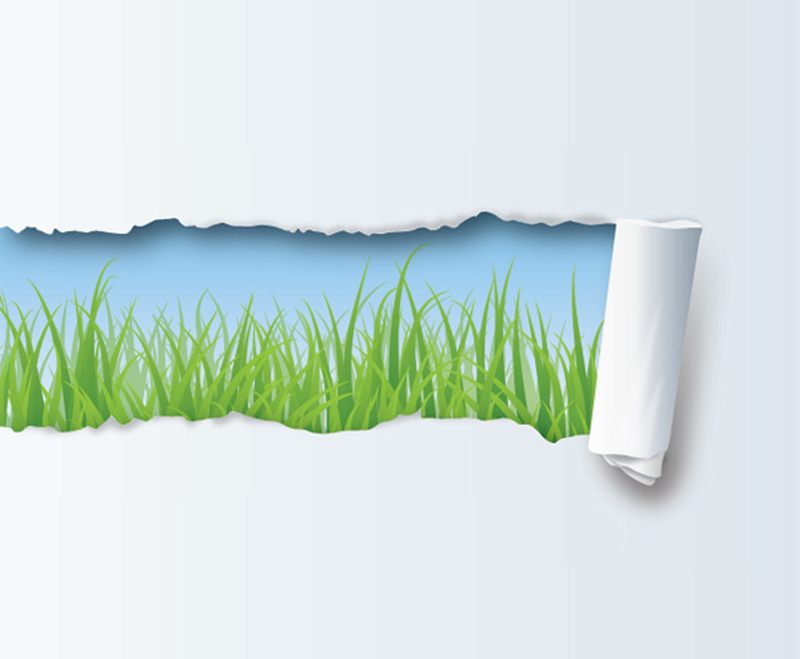 The blank area of this graphic rips away to reveal a hidden field of lush, green grass surrounded by a light-blue sky. The white paper creates a nice contrast with the natural landscape while providing plenty of neutral space for text. The imagery is crisp and refreshing, and the varied shades of green add some depth for an almost three-dimensional effect. This background uses an inspired concept for a great effect. It's perfect for promoting any eco-friendly product, service, or event, and it's easy to customize for virtually any purpose.